Dr. Neethu’s Smile Care Dental Clinic based in Palakkad provides advanced treatment in periodontics, orthodontics, restorative dentistry, cosmetic dentistry, dental implants and so on. Cosmetic Dentistry is a branch of dentistry that focuses on improving the appearance of teeth mouth and smile. The most common cosmetic dentistry procedures are the tooth whitening and porcelain veneers. Inlays and Onlays: Also known as indirect fillings made in dental labortory from composite resin material and attached to the teeth with adhesive dental cement. Thus restores the shape of the tooth and provide support to strengthen the tooth to avoid further deterioration. An inlay is placed onto the tooth surface whereas onlay is used to cover the tooth's entire surface. Composite Bonding: Commonly known as bonding is one of the least expensive cosmetic dentistry procedure that effectively covers the damaged tooth and gives the appearance of healthy tooth. In this procedure the dentist drills out the decayed portion of the tooth and applies composite on the tooth's surface and sculpts into right shape and cures with a high-intensity light. This procedure is apt for patients with chipped or cracked tooth, worn-down edges and decayed tooth. Dental Veneers: This cosmetic dentistry procedure is used to resolve cosmetic problems like gaps between the teeth, damaged or cracked enamel, crooked teeth. For this procedure dental veneers are custom-made for the patient in order to resemble natural tooth. During the procedure the dentist applies the veneer to each tooth using a dental adhesive. Teeth Whitening: In Cosmetic, dentistry teeth whitening is one of the basic procedure that can be performed to restore the natural appearance. For whitening the tooth the dentist applies, a whitening coat on the teeth or bleach the teeth to achieve a lighter shade than its original color. Implants: This procedure is used to replace a missing tooth. In this procedure the dentist inserts a tiny titanium screw into the jaw, which support the crown at the site of the missing tooth. The dentist will place the implant once the bone and supporting tissue fuses to the implant. Dr. Neethu's Smile Care Dental Clinic is one of the best Dental clinic in Ottapalam. 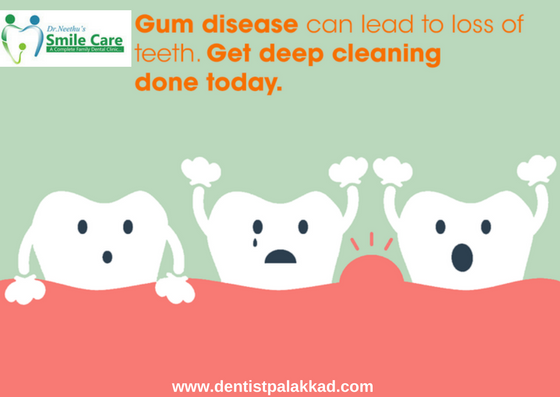 It is one of the Sunday working clinic in Palakkad headed by Dr Neethu Jyothish a leading lady Dentist in Palakkad. This Cosmetic Dental Centre in Kerala is a one stop destination for all Orthodontic and Periodontic needs. Regain Your Confidence With Restorative Dentistry..
Restorative Dentistry refers to the study, diagnosis and integrated management of oral health problems. It includes diagnosis and treatment of conditions effecting the teeth, gums, maxillofacial portions of the body and restoring mouth to a functional and esthetic state. The restorative dentistry overlaps cosmetic dentistry procedure, as these restorations are designed to look and feel natural. Dental Crowns: it is used to cover damaged teeth to restore it. They fully cover the portion of a tooth which lies at and above the gum line. Dentist will match the color of the existing teeth to give a natural look and feel. Crown and Bridgework: A dental bridge is used to anchor teeth that replaces the missing teeth. A tooth replaced using bridgework are replaced by a natural-looking replacement (prosthetic) that is held together by the teeth on either side of the missing teeth. Esthetic Fillings: The modern composites of very hard plastic which micromechanically fuses to the tooth are used to close the tooth as close as possible to its original strength and conservative fashion. Cosmetic Dentures: These dentures are used to replace missing teeth for people with no teeth. There are another types of dentures called partials used in mouths where several teeth need to be replaced. Air Abrasion and Micro Dentistry: Using the Air abrasion technology the dentist can remove small cavities in teeth without removing the healthy tooth enamel and place white fillings without using the dreaded needle. In addition, Restorative dental treatment include a range of treatments from tooth whitening, braces, root treatments, veneers, plastic gum surgery, bone and gum rebuilding grafting and more. This dental treatment really encompasses all the disciplines of dentistry to achieve optimum dental health. Dr Neethu's Smile Care Clinic offers Restorative dental treatment with a commitment towards quality service and high standards of dental treatment. The clinic is headed by Dr. Neethu Jyothish (Chief Dental Surgeon) , also the clinic has a team of internationally qualified consultants. Endodontic treatments, commonly known as root canal treatment, is a method followed in dentistry to deal with certain dental conditions that are connected with an injury or disease to the pulp. A root canal treatment is suggested in the cases like a cracked tooth or tooth decay. It is a method of treatment wherein the dental root canal is cleaned to treat situations where the pulp appears to be infected or is injured. The treatment involves removing the contents in the pulp like the cellular entity, the blood vessels, the nervous tissue and the like. The pulp is then restored with a gutta percha filling and then at the top, a crown is placed. In cases of acute dental infections, the doctor may resort to root canal treatment to avoid the spreading of the infection and to relieve the patient off the acute pain. a cavity is created to access the pulp of the tooth. It is essential to access the pulp with the tools. next step involves the removal of the infection from the pulp. If at all the shape of the tooth is lost due to the infection, it can be easily corrected using a dental handle. the removed pulp has to be restored to help the tooth stay strong. It is done by temporarily filling it with calcium hydroxide. a crown is placed as a protection in spite of the nerves and blood vessels being cut. Dr. Neethu's Smile Care Clinic, Palakkad is a one stop destination for all the dental requirements of a person. Ranging from cosmetic dentistry to the conventional dentistry, Smile Care Clinic is one of the best places to visit. Periodontics is the branch of dentistry dealing with dental inflammatory diseases destroying the gums and the supporting structures surrounding the teeth. The supporting structures around the teeth include the implants, bones and the soft tissues that lines the mouth and seals the teeth. Periodontal diseases are often silent, that is painless until they reach an advanced stage. Gum Graft Surgery – used for treating receding gums, new tissues are taken from your gums to cover the exposed roots. Dental implants – artificial tooth roots are implanted in the jaws to hold artificial tooth or bridges. Dental Crown Lengthening – this procedure is done to cure gummy smiles where gums cover teeth, making them less appear. Pocket Reduction Procedure – the space between gum and teeth deepen due to diseases. These pockets are filled using pocket reduction procedure. Other major periodontics treatment procedures involve laser treatment, bone graft surgery and plastic surgery procedures. Dr. Neethu’s Smile Care Dental Clinic based in Palakkad, Kerala, India offers advanced and ethical treatment in the field of medical and aesthetic dentistry. With a commitment towards quality service and high standards of dental treatment, the clinic has a team of internationally qualified consultants headed by Dr. Neethu Jyothish, Chief Dental Surgeon. They provide advanced treatment in periodontics, orthodontics, restorative dentistry, cosmetic dentistry, dental implants and so on. Paediatric Dentistry is that branch of dentistry that deals with the oral health care of children from their birth until adolescence. This branch of dentistry encompasses the management of oro-facial problems relevant to physical, behavioral, and medical disabilities. These dentists are registered as special dentists and they should have completed an additional study of at least three years soon after completing their general dental education. Under the supervision of a dental specialist, the training is provided in various hospitals and clinics. 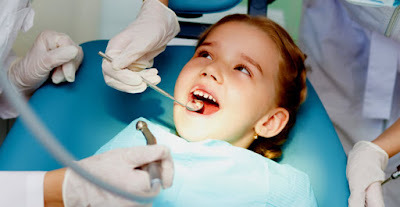 Hence, the pediatric dentist attains a wide range of experience in managing the overall dental health of children. ‘Smile Care’ offers high-quality services for all dental issues. Dr. Neethu Jyothish (Chief Dental Surgeon) accesses the entire team from various dentistry departments. She is, no doubt, one of the most sought-after pediatric dentists in Palakkad. We can describe OMFS as Oral (mouth), Maxilla (an upper jaw bone forms nose and eye pocket parts), and Facial (face). Every part in an individual is to speak, chew, yawn etc., The entire organs determine one’s face structure and attraction. The deformity of any organ due to injury, congenital defects and diseases spoil one’s image externally and psychologically. 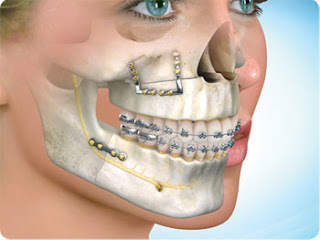 Oral and maxillofacial surgery, otherwise called as OMS / OMFS, one of the dentistry specializations treat the injuries, defects, and diseases of the jaw, face, neck, head, oral and maxillofacial region (jaws and face). It is a surgical specialty. OMF surgery requires dual qualification in dentistry and medicine and it requires expertise from the both said backgrounds. An oral and maxillofacial surgeon is a special surgeon who treats the areas such as the jaw, mouth, skull, face and its associated structures. We may otherwise call oral and maxillofacial surgeon as an orthopedic surgeon of the facial region. Dr. Neethu’s Smile Care Dental Clinic runs the dentistry multi-speciality successfully with excellent and hygienic treatment. A smiley customer service and team of medicos treat the patients with painless, stress-free in a serene ambience. Dr.Neethu Jyothish (Chief Dental Surgeon), the Managing Director leads the entire team with international standard technology. Our doctors’ crew takes care every patient individually, monitor them, and provide quality treatment. Equipment and instruments used in treatment procedure are completely sterilized by B-class autoclave. Dr. Neethu’s SMILE CARE is located in Palakkad, Kerala. 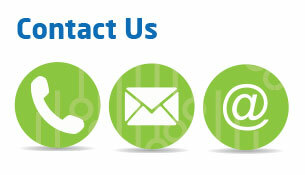 Do you have a prolonged dentistry problem? Don’t postpone your consultation. 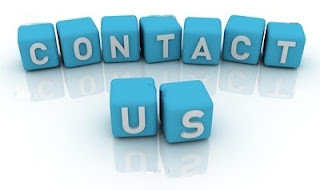 Just call us for immediate appointment to get treated with our eminent team of doctors. Keep a broad smile with all always. Root Canal Treatment is also termed as Endodontics. 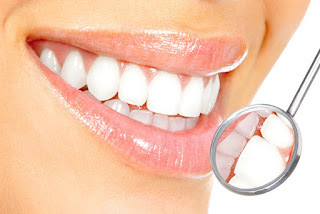 It is the treatment for repairing infected or badly damaged tooth. Endodontics is a specialization in dentistry that deals with diseases occurring at the pulp and the surrounding tissue. Pulp is a soft tissue under the white enamel and hard layer called the dentin. Pulp contains nerves, blood vessels and it helps for growing the root of your tooth at the time of development. Neethu’s smile care offers the best Root Canal Treatment in Pathiripala. Tooth pain, root fractures, problematic tooth anatomy, abscesses, traumatic injuries, teeth with blocked canals are the condition where Root Canal Treatment is preferred for the patients. During the procedure, the dentist numbs the teeth. Through the tooth crown to the chamber of the pulp, an incision is made. Special files are used for cleaning the unhealthy and infected pulp out of the canals. Later, they shape the canal for filling the material. By using a material known as the gutta-percha, the canals are filled with permanent material which helps the canals free from contamination or infections. On the top of the gutta-percha, a temporary filling material is placed for sealing the opening. Until the tooth receives a permanent crown (it is also called as cap which looks like a natural tooth and placed on the top of the tooth), the temporary filling remains. At last, the crown is cemented into place. Root canal therapy, periradicular surgery which is also known as the apicoectomy, incision and drainage are the few common procedures done in endodontics. If you are really looking for the best Endodontic Therapy, visit Neethu’s Smile Care, best Dental Clinic in Pathiripala. We provides the Affordable Dental Care in Palakkad. We are blessed to have the Best Dentist in Pathiripala.